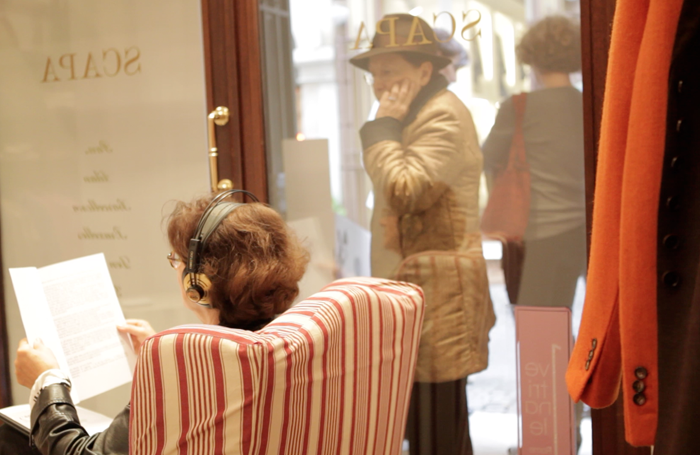 The first Vetrinale – ‘contemporary art in extraordinary shops’ – took place in 2012. Thirty contemporary artists were called to interact with ‘unusual’ spaces, other than the ones usually dedicated to art: the shops of Rome and their windows, which were transformed in ad hoc art galleries. Simona Ventullo came up with the idea for the festival, and carefully selected the host shops. 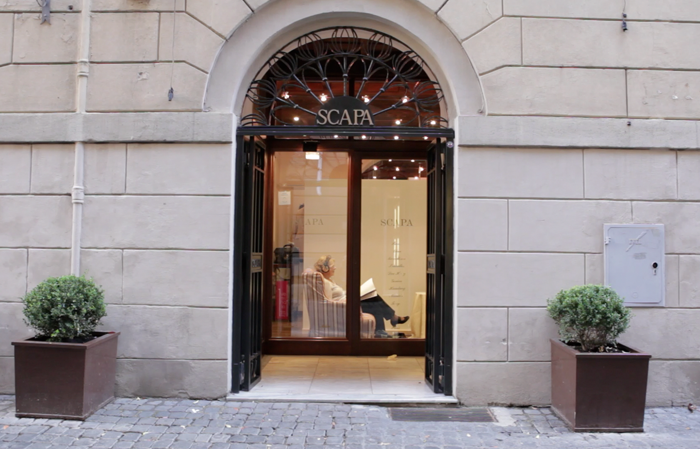 The classy interiors of SCAPA Rome were among the chosen twenty-one. Cecilia Casorati, one of the curators of Vetrinale, visited SCAPA and matched it with artist Donatella Landi, and her installation ‘Le Videocommedie’ (‘The Video-dramas’). 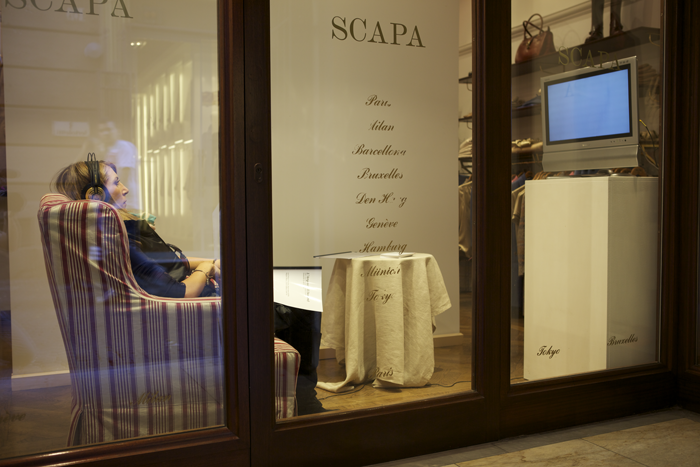 Donatella swapped the clothes in the windows of SCAPA for an armchair in which customers were invited to sit, wear headphones and enjoy her short films, broadcast on a tv-set: their enjoyment of the videos was in turn part of the performance. On the screen: three pieces of work inspired by the great radio dramas of the past, dealing with the immortal passions of humanity (L’Amour, L’Argent, L’Amitié).